CBD | Is it legal? Hemp shampoo for normal or greasy hair, effectively cleans, moisturizes and refreshes the hair and scalp skin, renews the hair skin oil balance, with conditioning effects, for hair shine, volume and flexibility. 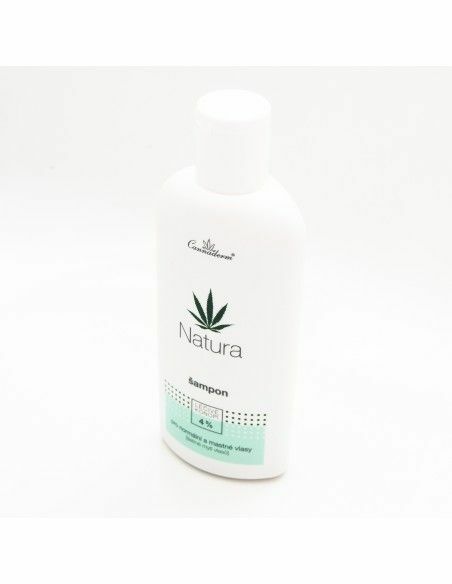 Natura hemp shampoo with pure Cannabis oil, manuka and sage for normal and greasy hair. Very gently but effectively washes your hair and scalp without irritating and abnormal drying. Your scalp is well hydrated and has a ballanced pH. Hemp shampoo reduces abnormal greases and regulates the state of the scalp. Due to conditional effect shampoo gently washes your hair and treats at the same time as well as cleanses it's elasticity, shine and volume. A small amount of hemp shampoo apply on damp hair and lather. Rinse well with water. On very long hair or for easier brushing use a hair balsam too. 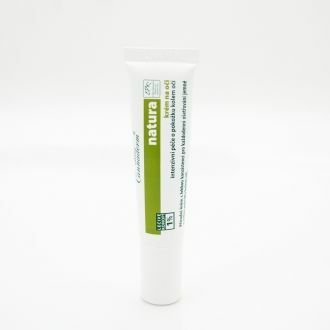 Ingredients: Aqua, Sodium Coco-Glucoside Tartrate, Cocamidopropyl Betaine, Disodium Cocoyl Glutamate, Cannabis Sativa Seed Extract, Citrus Grandis Extract, Xanthan Gum, Cannabis Sativa Seed Oil, Citric Acid, Lavandula Angustifolia Oil, Cymbopogon Schoennanthus Oil, Salicylic Acid. For more than 10 years, our customers can choose from a wide Cannaderm product range. From 2011 Cannaderm products are marked by pictogram approval logo CNC - certified natural cosmetics or by „umbrella“ pictogram approval logo CPK bio. These approval marks guarantee environmentally friendly production, packaging and natural origin of the raw materials used in the production process of Cannaderm cosmetics. • no chemical UV filters. The basic conditions for obtaining a certificate of natural cosmetics are ecological production, recyclable packaging and quality of natural origin ingredients. Certified natural cosmetics is therefore friendly to our skin and the environment. Natural raw materials processed by using advanced technologies are in accordance with the demands of contemporary beauty care and also together with needs of natural skin care. At CBD Store Ireland we offer a wide selection of hemp and CBD (Cannabidiol) products. Choose from CBD oils & extracts, hemp tea, e-liquids with CBD, but also hemp food such as hemp flour, hemp seed oil, hemp pasta, proteins and more. Discover our range of hemp cosmetics - for normal, dry and oily skin, as well as specialistic dermocosmetics for problematic skin (eczema, atopy, psoriasis). My husband suffered with chronic siciata and it eased his pain. Very helpful customer service goes above and beyond what is the norm. Pleasure doing business. IL be getting more. Was a little disappointed that I had to opt for the 3% as I usually use the 5%.it works out quite expensive as the dosage is higher. Good product. Fast delivery. Very helpful customer service. Would buy again and would recommend to a friend. Hemp Oil Ireland - Buy cannabidiol CBD hemp oils, CBD vape liquids, hemp cosmetics and skincare, hemp leaves & flowers or hemp food. Fast delivery from Ireland! The #1 CBD Store in Ireland. Subscribe now to our mailing list to receive updates on new arrivals, special offers and other discount information. Disclaimer: All of our products are not medicine and are not intended to treat, cure or prevent any disease, ailments or conditions. Food supplements should be taken as part of a varied diet and healthy lifestyle. Always check with your GP before starting any new supplement programs.